Movement HerMoveNext | Tournaments HerMoveNext | News HerMoveNext | Mission HerMoveNext | Top 25 HerMoveNext | Contact Game Night HerMoveNext 3 | Register HerMoveNext 3 | Recap HerMoveNext 2 | Recap HerMoveNext 1 | Recap HerMoveNext # | Calendar Stats HerMoveNext2 I Standings HerMoveNext1 | Standings HerMoveNext# | Season 1 NYS Top 500 Females Gallery Her Move Next 3 | Faces Her Move Next 3 | Players Her Move Next 3 | Smiles Her Move Next 3 | Teams Her Move Next 2 | Faces Film Inspire | Watch Film Inspire | See Trailer Inspire | Read Blurb Inspire | Meet Filmmaker Inspire | Screen Festivals Teams Team | 33 News Team | 33 Success Team | 33 Rosters Sponsors Thank You! 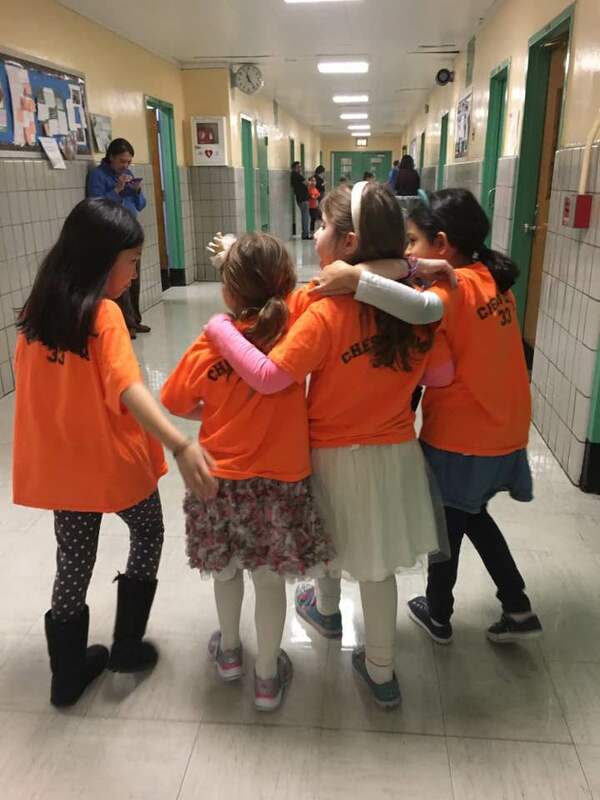 The award-winning film, Her Move Next, is an inspiring short documentary (run time ~18 minutes) chronicling New York’s PS 33 Chelsea Prep elementary school’s 2016-2017 girls’ chess team. The team’s inaugural 2015-2016 scholastic chess season had surprising success culminating in a second-place finish in the 2016 All-Girls National Championships. (U8 Section). In the Spring of 2017, NYC-based filmmaker Ian Phillips documented the rise of the all-girls scholastic chess team. Led by Program Director Russell Makofsky and Head Coach Angel Lopez, the film shows the team build upon the success of its 2016 season to recruit more girls to its already diverse roster, including Chloe, a precocious and insightful 8-year old. The chemistry flourishes for both teammates and parents alike, artfully captured on camera by Ian Phillips. As the team prepares for the 2017 All-Girls National Championships in Chicago, the girls learn how sisterhood translate into wins over the board. Despite the achievements at 2017 City and State Championships, can the team sustain the passion and perseverance to overcome the mounting obstacles along the way to the 2017 All-Girls National Championships? Winner of the People’s Choice Award in the 2018 London Feminista Film Festival, finalist in the 2018 Long Beach Indie International Film Festival and selected to the 2018 New York Latino Film Festival presented by HBO, Her Move Next is a smart exposé of an elementary school girls’ chess team leaning in, motivated by friendship and fun. Please visit HerMoveNext.com to watch the film and share photos, events, stories and smiles with #HerMoveNext to help inspire more girls to play chess.